Well, three British Team Sky wins in a row was asking a bit much, wasn’t it? 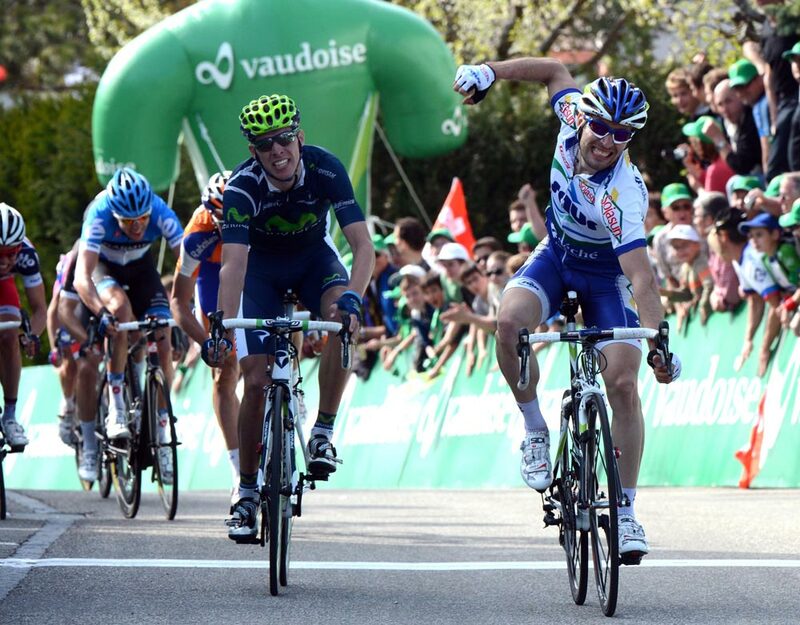 Frenchman Jonathan Hivert (Saur-Sojasun) broke Sky’s winning run in the 2012 Tour de Romandie, winning the uphill bunch sprint ahead of Rui Costa and Luis Leon Sanchez at the end of stage two in Moutiers. Lars Bak (Lotto Belisol) and Christian Meier (GreenEdge) were the breakaway rabbits being chased by the pack of hunters, with Team Sky setting a pace for race leader Bradley Wiggins. Mark Cavendish suffered a mechanical at the foot of the last climb, 35 kilometres out, and wasn’t able to get back on. On the twisting, uphill finale, Hivert made sure to position himself near the front before accelerating clear with eighty metres to go. bunch to maintain the race lead.